It is extremely fluid at brazing temperature. Provides more strength to joint than ALFA105. 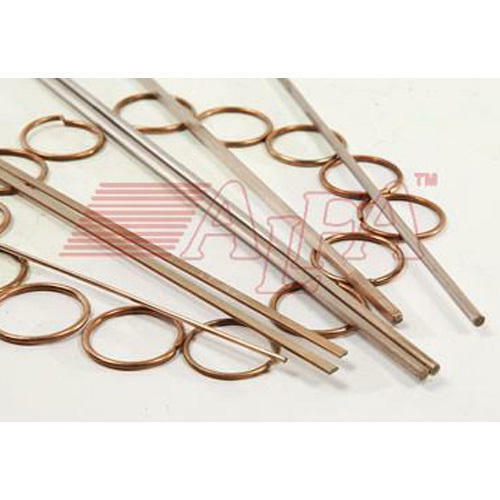 Indian Solder & Braze Alloys is a renowned manufacturer and exporter of quality brazing and welding products that include silver brazing alloys, copper based brazing wire, copper phosphorus brazing alloys, aluminium wires, silver brazing fluxes, copper brazing fluxes. With over three decades of experience, we have attained specialisation and offer perfect solutions for all the brazing needs of our customers. We have been able to carve a niche for ourselves in the international market by supplying products including brazing alloys and brazing fluxes like silver brazing fluxes, copper brazing fluxes and silver soldering fluxes that are known for their reliability and quality. Our range of products have a proven track record in many industries across the globe including air conditioning, defense, heavy engineering & power, hydraulic, motors, pumps, radiators, railways, refrigeration, switchgears & tools industries. Our mission is to provide our customers with productivity enhancing products, technologies and processes to improve their operating efficiencies and lower their costs. We have a team of experienced professionals, who support our products and services with training, installation and troubleshooting expertise. Committed to achieve complete customer satisfaction, our team of professionals provide our customers with the best possible solution in order to meet their specific requirements.